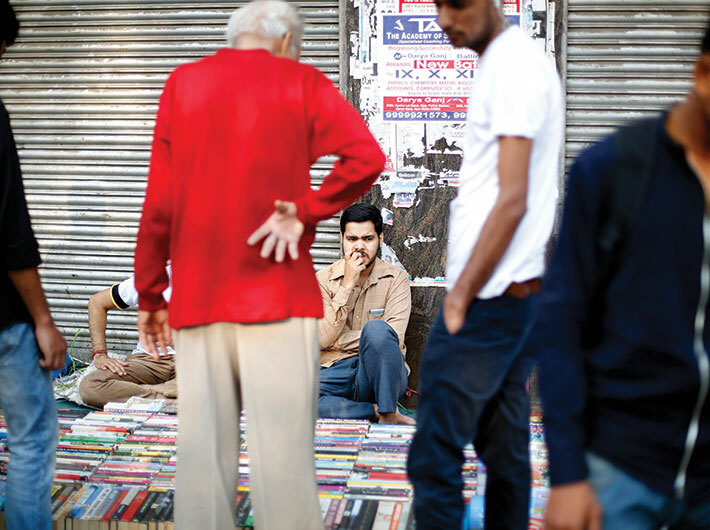 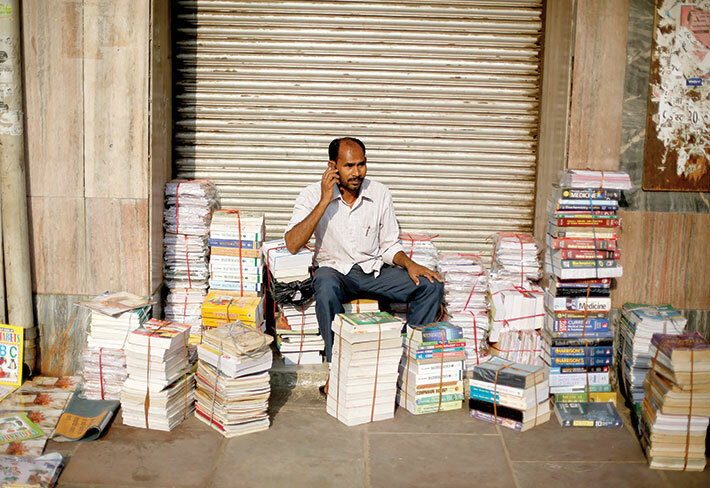 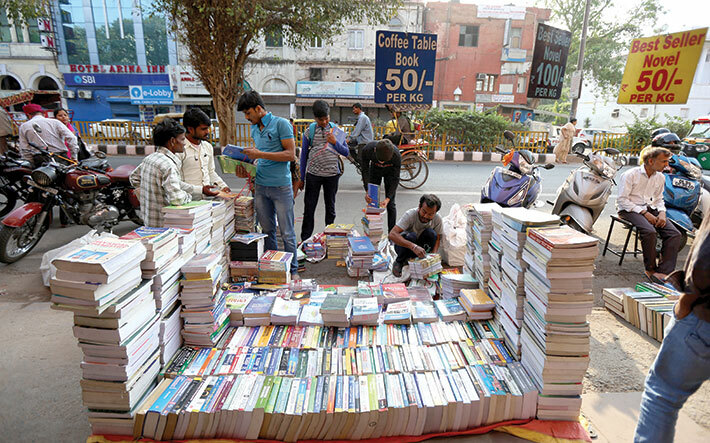 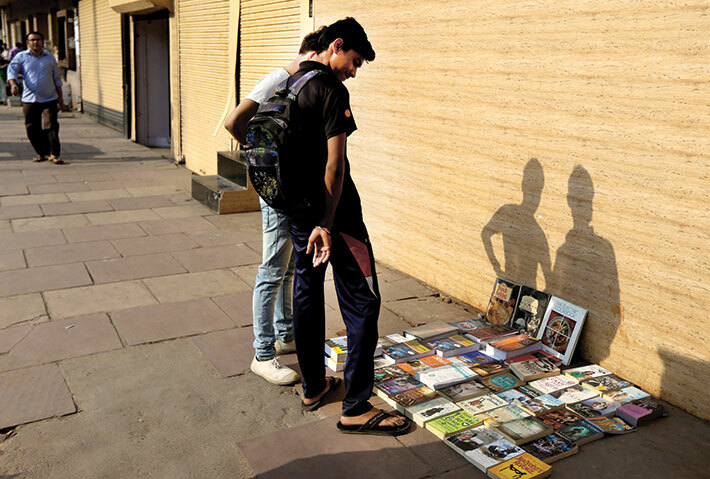 Every Sunday, the footpaths of Daryaganj in the heart of Old Delhi are taken over by hundreds of booksellers. 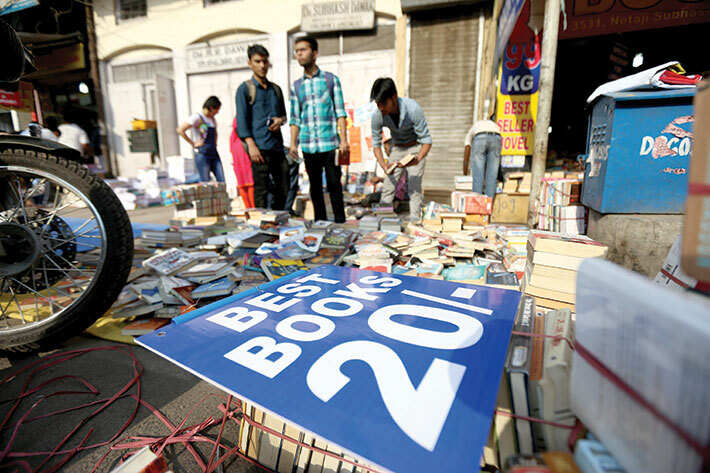 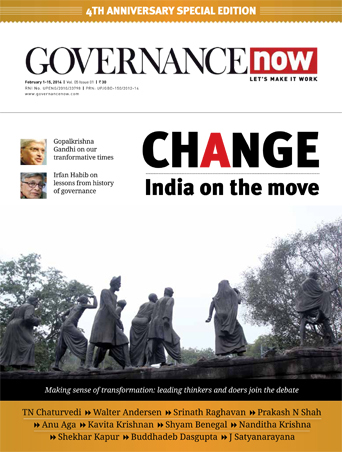 Books for competitive exams, journals and classics to magazines, comics and cheap thrillers – they sell books of all kinds. 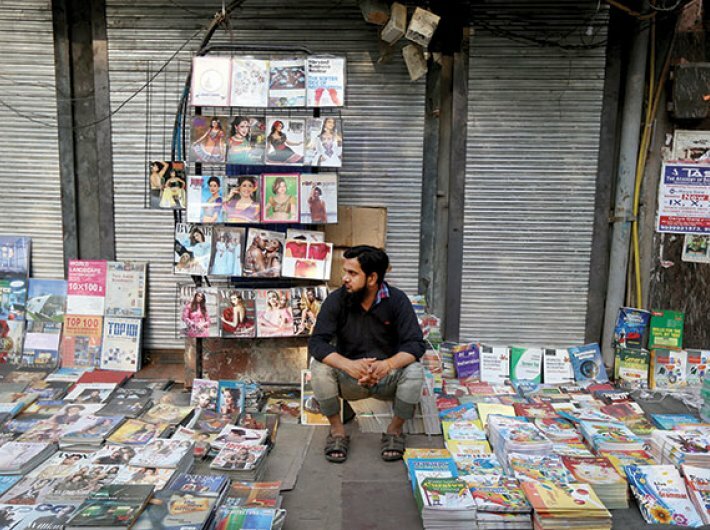 Visiting this market has been a Sunday morning ritual for many book-lovers. 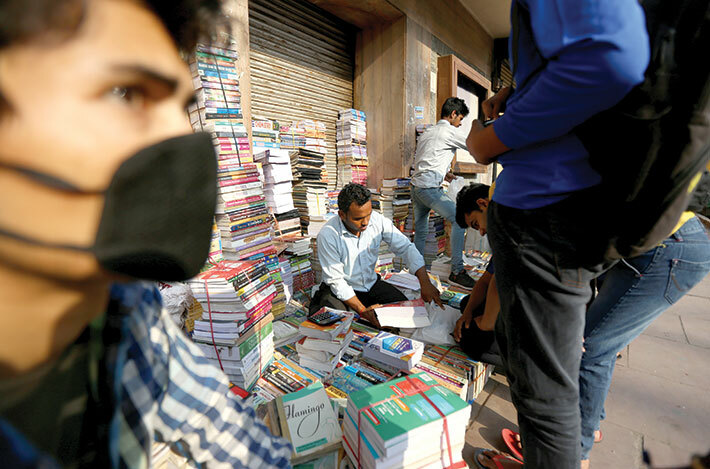 Bargains apart – pulp fiction is sold by the heap, Rs. 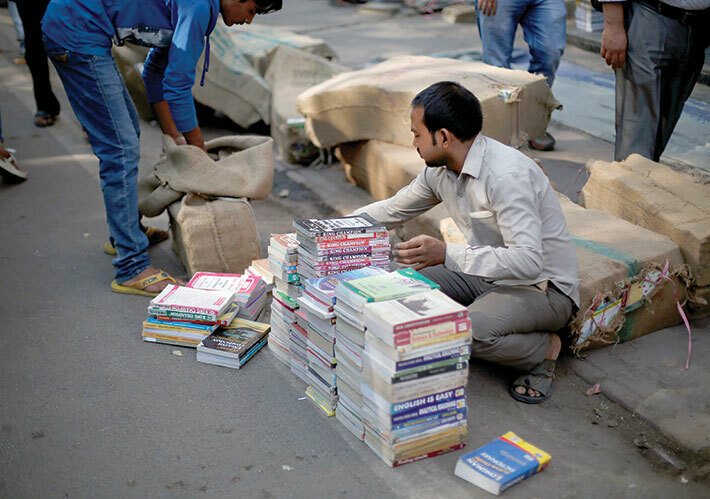 100 per kilogram – the book-lover will find on the pages springboards to the past: previous owners’ names, buying dates, inscriptions to recipients, passages marked out for study or love. 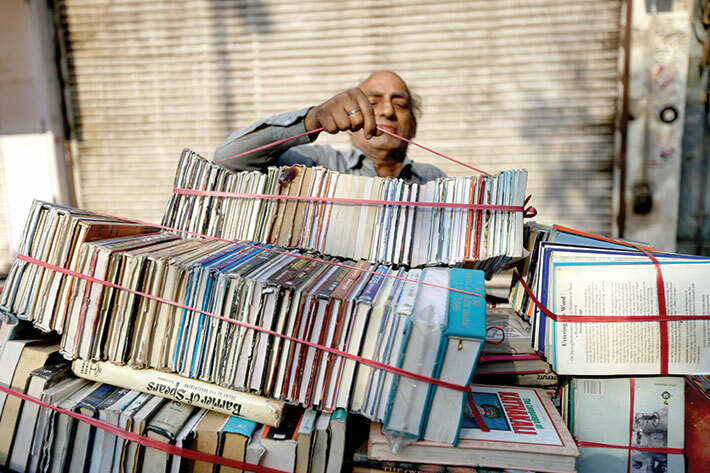 There is as much pleasure in the micro fictions these pen-and-pencil marks set off in the mind as in the books themselves.